Piling rigs for short and long term hire. A choice of finance or the option to purchase. Purchase of used rigs for resale in overseas developing market. Diagnostics, repair and maintenance of drilling rigs on-site or at our workshop facility. 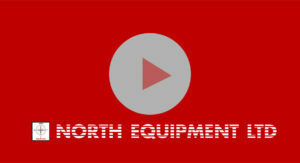 North Equipment Ltd are specialists in the rental of foundation and piling equipment. 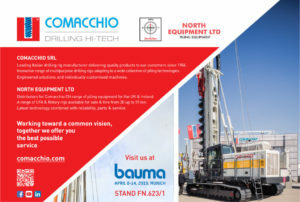 The company has over 30 years' experience of supplying the construction industry with drilling rigs and associated equipment. 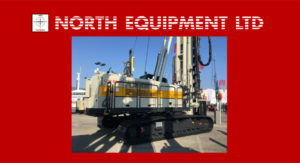 If you are considering the option of renting a drilling rig as opposed to an outright purchase, then you should contact North Equipment. We supply rigs for hire from a wide selection of machines from 30 ton to 70 ton. As well as renting foundation equipment we provide service and maintenance of rigs, sales of used drilling rigs and foundation equipment. We also have the option to purchase used rigs that the customer wants to sell or trade in. The Comacchio CH450 in action!